Aung San Suu Kyi is a famous Activist from Burma, she is 73 years old and still alive, born June 19, 1945. Daw Aung San Suu Kyi is a politician from Myanmar, who is known for his non-violent, pro-democracy activities in the country. She received the 1991 Nobel Peace Prize. After having been under house arrest for 15 of the last 21 years, Aung San Suu Kyi, 13 November 2010 released by the Myanmar dictatorship regime. 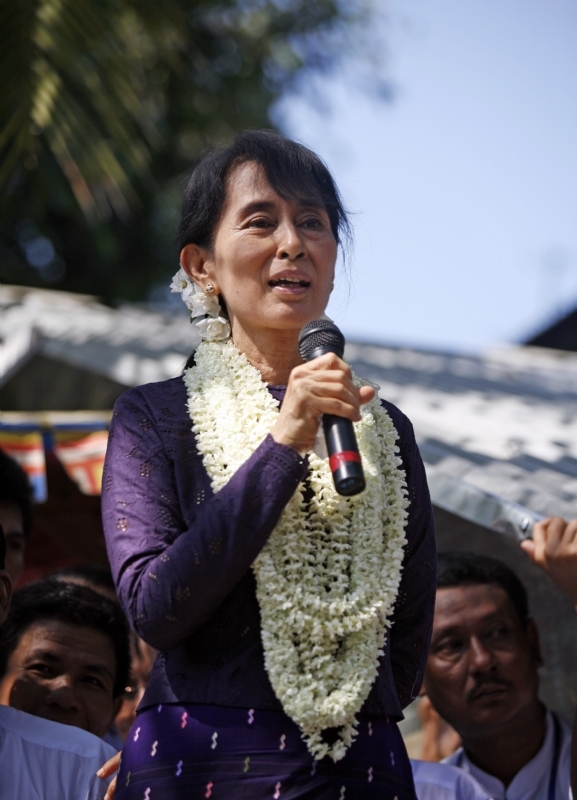 She is the daughter of General Aung San, who negotiated Burma's independence from Britain in 1947 and was assassinated by rivals in the same year. She studied at the University of Oxford, where she met her husband, whom she has 2 children. She is born under the zodiac gemini, who is known for Communication, Indecision, Inquisitive, Intelligent, Changeable. Our collection contains 18 quotes who is written / told by Aung, under the main topic Power. "The democracy process provides for political and social change without violence"
"I think I should be active politically. Because I look upon myself as a politician. That's not a dirty work you know. Some people think that there are something wrong with politicians. Of course, something wrong with some politicians"
"Peace as a goal is an ideal which will not be contested by any government or nation, not even the most belligerent"
"The history of the world shows that peoples and societies do not have to pass through a fixed series of stages in the course of development"
"The struggle for democracy and human rights in Burma is a struggle for life and dignity. It is a struggle that encompasses our political, social and economic aspirations"
"It is often in the name of cultural integrity as well as social stability and national security that democratic reforms based on human rights are resisted by authoritarian governments"
"Human beings the world over need freedom and security that they may be able to realize their full potential"